You might think of Buffalo Wild Wings as having kinda garbage bar food, and you might be right, but we know they do chicken wings right. They do chicken sandwiches pretty well, too. 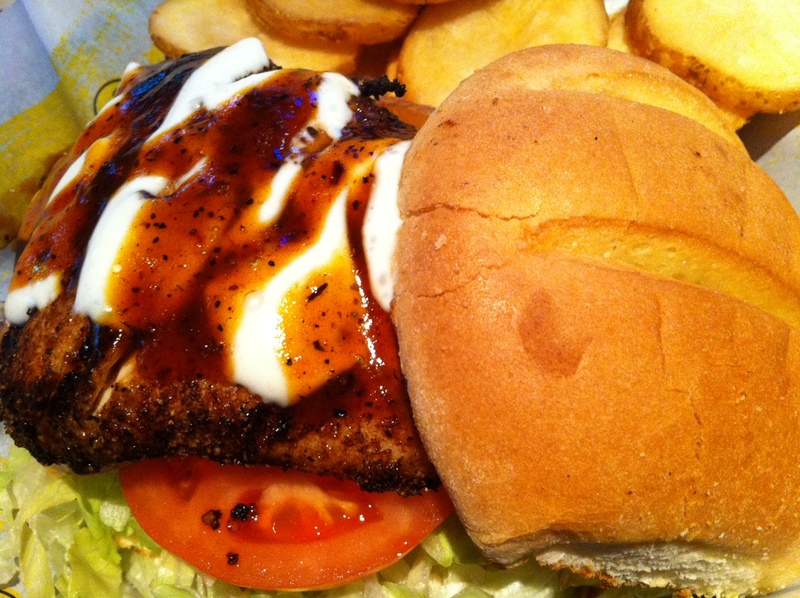 This is the one most spicy, delicious sandwiches on the menu, a blackened breast smothered with the BWW Caribbean Jerk sauce (one of the best of the never-ending wing sauce choices), topped with lettuce, tomato, and blue cheese dressing. The bun is the BWW standard "weck," but it looks and tastes like a kaiser roll to us. Call it what you want, it stands up nicely to this spicy, saucy beauty. It's a winner.